In November 2018 we will be publishing Jerome’s Study, a collaboration between prize-winning author Max Porter and artist Catrin Morgan. This will be the third publication in our ekphrastic poetry series, and is a work which explores the ways in which literary and visual art forms respond to and translate other works of art. 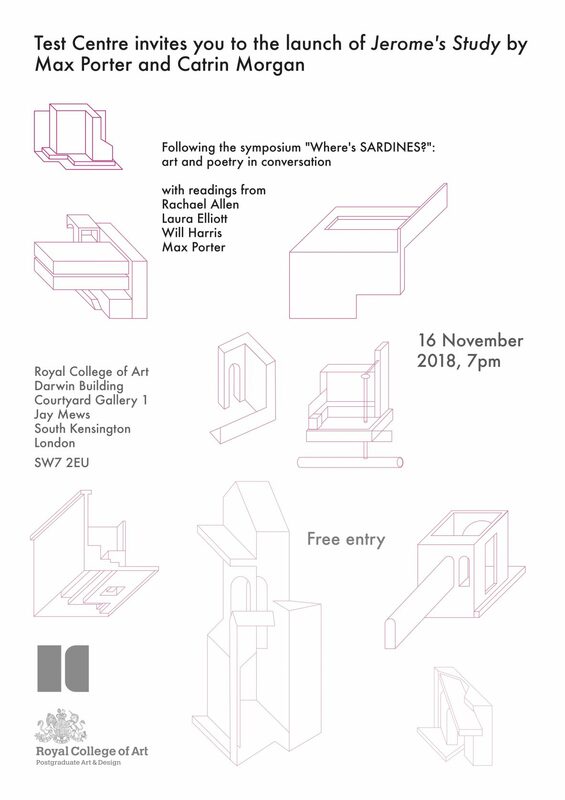 The book will be launched on Friday 16 November at the Royal College of Art, following the symposium “Where’s SARDINES?”: art and poetry in conversation. There will be readings from Rachael Allen, Laura Elliott, Will Harris and Max Porter.